This article was posted on Friday, December 18th, 2015 at 2:16 am and is filed under Other News. One of the greatest pleasures of traveling the world is when you discover new food and drink that you can’t get at home. Just like its delicious cuisine, Peru has a whole host of adult beverages that are popular with the locals. There are nonalcoholic drinks available that are unique to Peru, but if you’re in the mood to have fun or relax, the drinks are unforgettable. It makes a surprising change of pace for tourists looking to try something new. So if you’re planning on visiting Peru, don’t leave the country without trying one or two of these great Peruvian drinks. You won’t regret it. Pisco is a popular alcoholic drink in Peru and Chile. It’s made by distilling wine into a high-proof brandy. If Kentucky is bourbon country, then Lima is the spiritual home of pisco. Like most hard alcohols, pisco is drunk both straight and in mixed drinks. 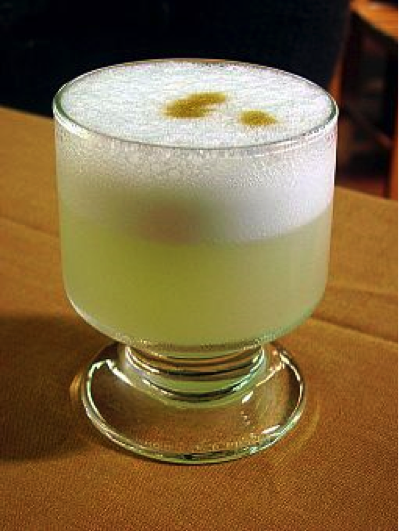 The most popular drink is the pisco sour which includes egg whites, ice, bitters, and lemon juice. Many consider the pisco sour to be the national drink of Peru, and no trip to the country is complete without trying at least one. Haven’t convinced you yet? Order a chilcano. It’s like a pisco sour, but with some ginger ale as well. This sweeter combination is a great way to end the day or start an evening out. The best way to describe Inca Wasi is to call it the Peruvian run and coke. It’s a mixed drink that combines pisco with Inca Kola which is a popular soft drink enjoyed all over Peru but barely found in the northern hemisphere. This makes the drink is a must have while you’re visiting. The full recipe also calls for sweet wine, bitters, a slice of lemon, and a bit of chuchuhuasi, an extract from the tree of the same name. All of this is mixed together in a glass with ice. It’s the perfect way to cool down on a hot summer day. Just be sure to drink moderately. Inca Wasi has a strong kick if you’re not careful. The last thing anyone wants is to be too drunk to enjoy your vacation. 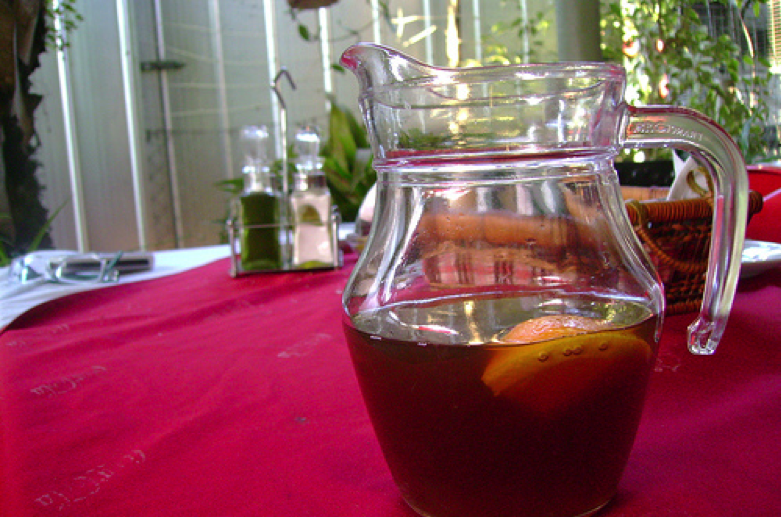 Chicha is a drink with a long history in Peru. 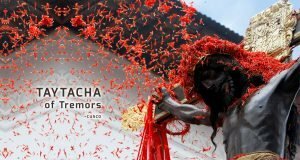 The Incas originally made it and often used it during their rituals. Archaeological research has found evidence that mills in Machu Picchu were able to produce large quantities. This indicates that it was probably widely enjoyed when that city was still flourishing. Traditionally, chicha was made from yucca, maize, or manioc root. The modern, more widespread version uses purple corn. But today, you can only find traditional Peruvian chicha in a few places, making it a rare treat that’s not to be passed up. For those of you who love high-end American beer at home should try a glass of Cusqueña while you’re here. In general, it’s easy to find beer in Peru, and it has the same range of quality that you can find in the U.S. But the craft beer scene is growing quickly right now. And some stand out among the rest Cusqueña is a quality lager that will impress even the most cynical of beer snobs. Other popular types of beer are Cristal, another lager which is popular at sporting events and parties. Pilsen is another and pairs well with Peruvian seafood. This makes it a great drink to go with lunch or dinner. But if you want to enjoy a craft beer worthy of the best brews in the world, Cusqueña is the way to go. And if you’re driving or staying sober for other reasons, there are plenty of nonalcoholic Peruvian drinks that you’ll enjoy. But if you are ready to relax after a long day of exploring, these tasty adult drinks are the way to go. Ready to have one now? Book your tickets to Peru through Best Peru Tours today and save with our great tour packages. Give us a call at 866-788-5647.